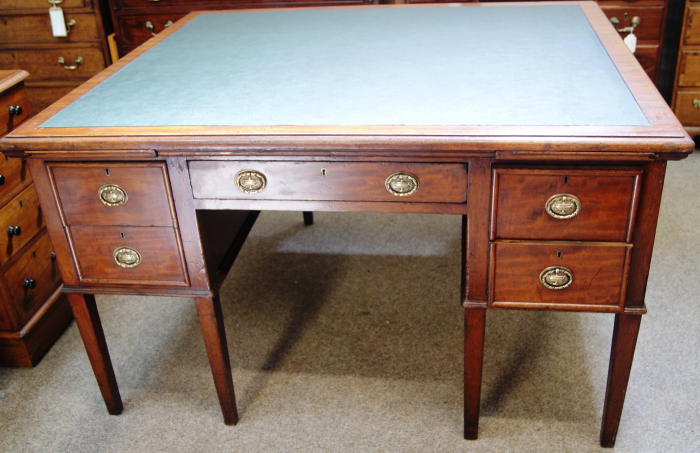 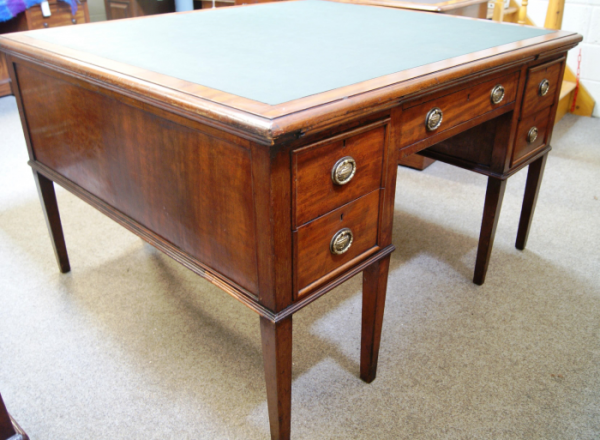 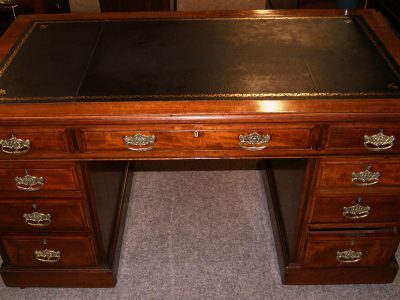 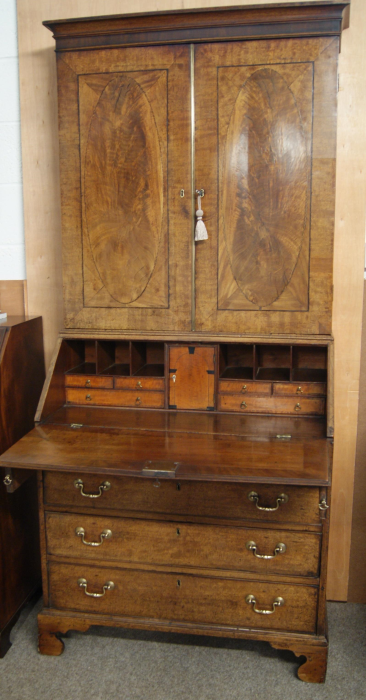 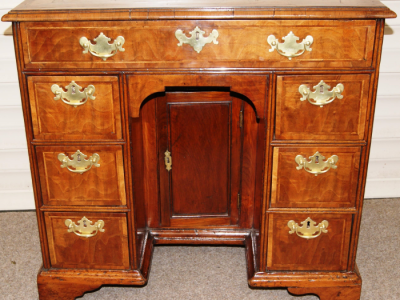 An unusual double sided mahogany full Partners Office Desk circa 1910. 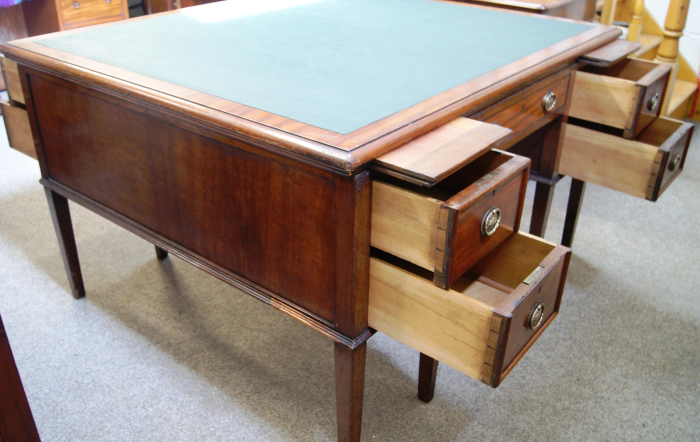 Ten large drawers ( five drawers each side ) with two pull-outs on either side. 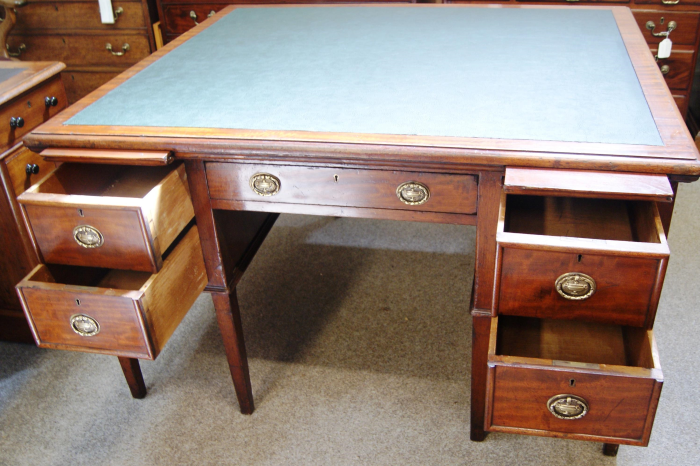 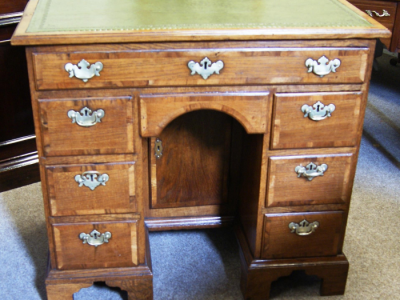 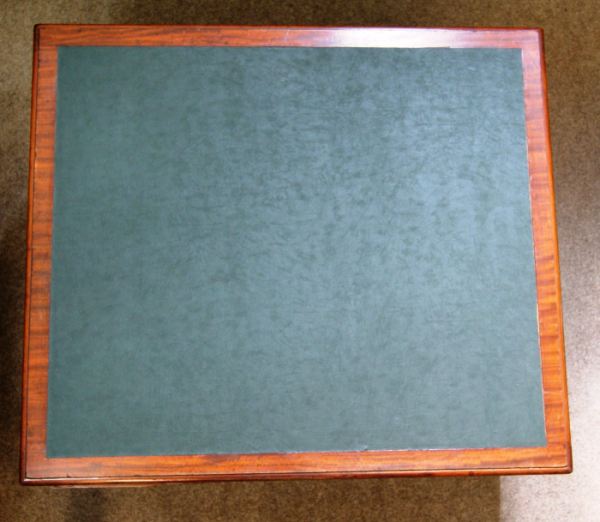 Cleaned, waxed and fitted with a new dark green faux-leather writing surface this working desk is in super condition for its age and is perfect for a home office.